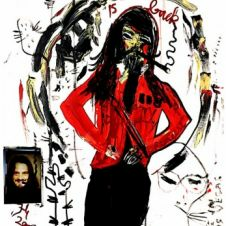 Jonathan Meese, born 1970 in Tokyo, is known as one of the most controversial German artists. His work provokes and fascinates at the same time. 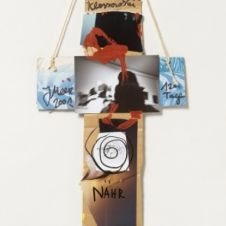 His oeuvre is comprised of video- and photographic art, performances, sculptures and paintings. For the Sabine Knust gallery the artist created a series of 19 different xylographs. The woodcuts were printed in black and white and in ten additional colours. The earthy tones emphasize the geometric, symbolic language of form, reminiscent of oceanic masks and African patterns. In typically Meese style, the artist combines shapes and figures with lettering and semantic arrangements. 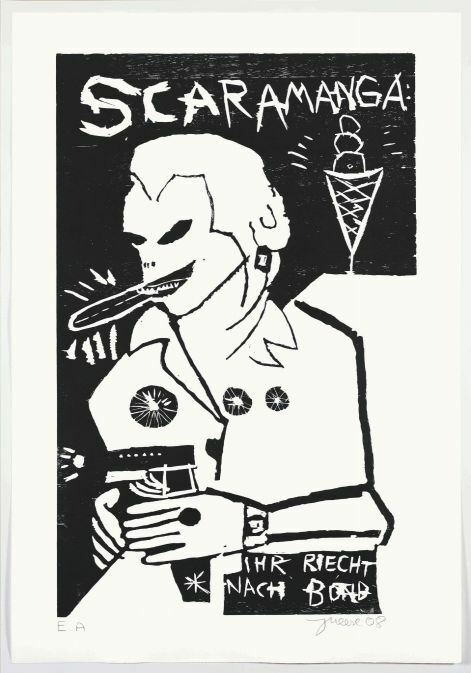 The woodcuts allude to villains from James Bond movies portrayed by the artist as dialectic heroes with decorations and medals like the Iron Cross. Some of the designs illustrate phallic symbols, others completely abstract compositions. 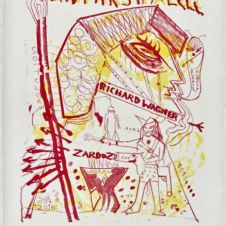 The xylographs repeatedly refer to an archaic and historic symbolism but at the same time they demonstrate Meese’s love of absurdity. This is emphasized in the titles. 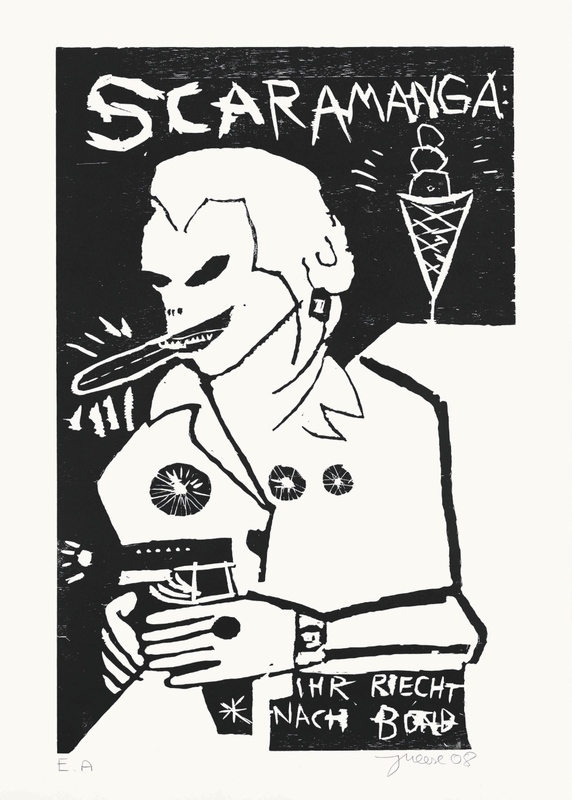 Each work has “Mr.“ in its legend and is humorously and imaginatively complemented by names such as “Senfpenisslblofeldin”. 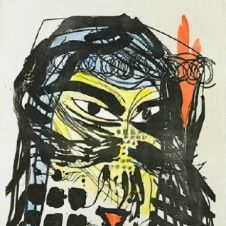 The combination of Meese’s contemporary picture language and the method of xylography, known as the oldest printing process, is visually and contextually exciting and technically virtuosic.